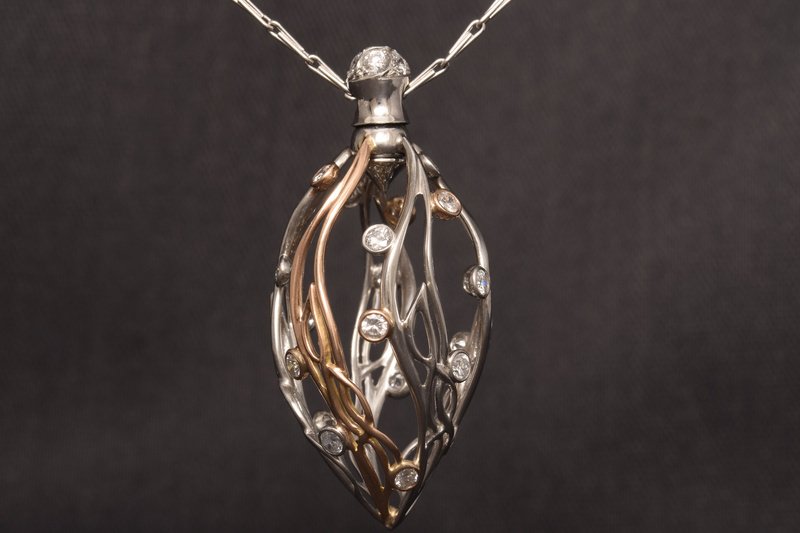 This week, Ortwin spent hours completing a pendant which involved a unique intricacy. The pendant adapts a celtic design and is seemingly delicate in appearance. However, like all of our pieces, the pendant is, strong, wearable and most importantly, pleasing. 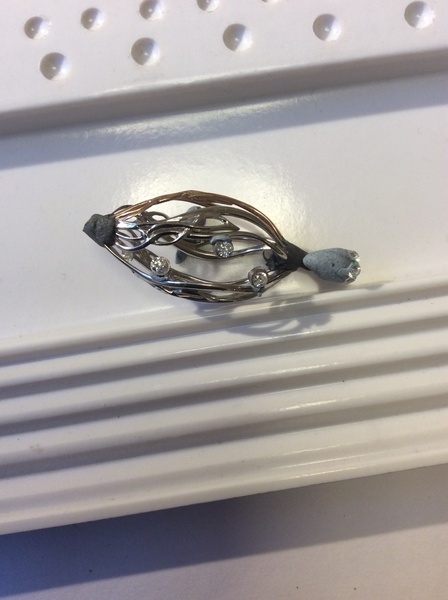 One of our very treasured customers came in for a consultation with a piece of jewellery belonging to her mother. 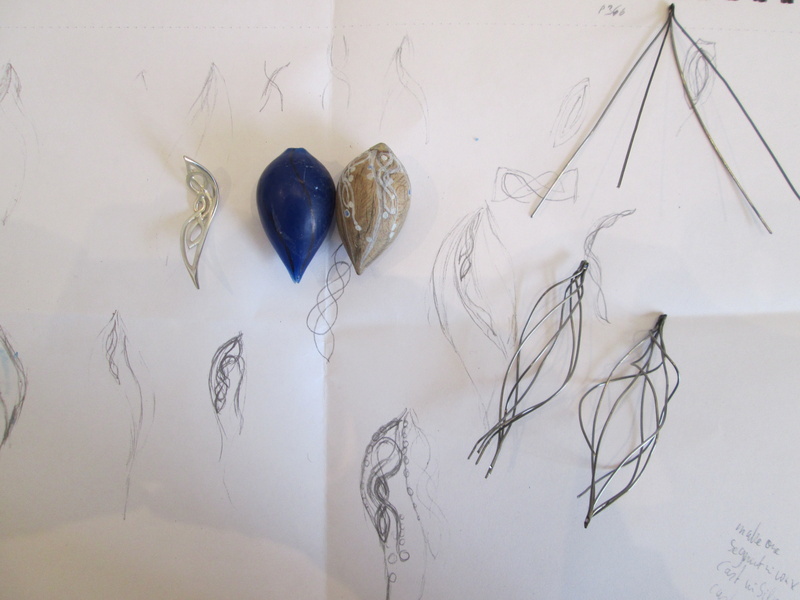 She wanted us to incorporate the stones of her mother’s piece into a new design. She felt instantly inspired by one of Ortwin’s kinetic designs. From there, we were able to create an idea with the same concepts as her inspiration, yet specific to her personal style and vision. The end result was something that we were all happy with. 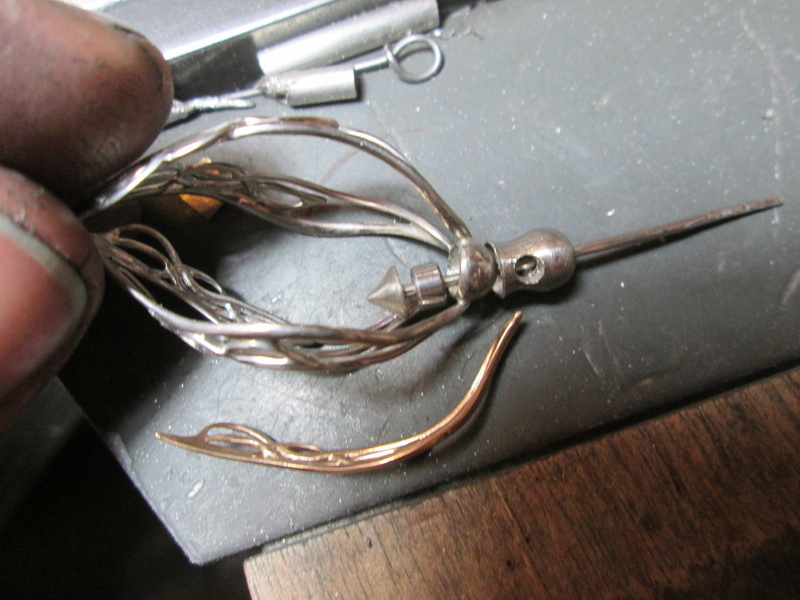 First, Ortwin started by making various models from his initial design drawings to get a feel for the size and shape of this particular pendant. 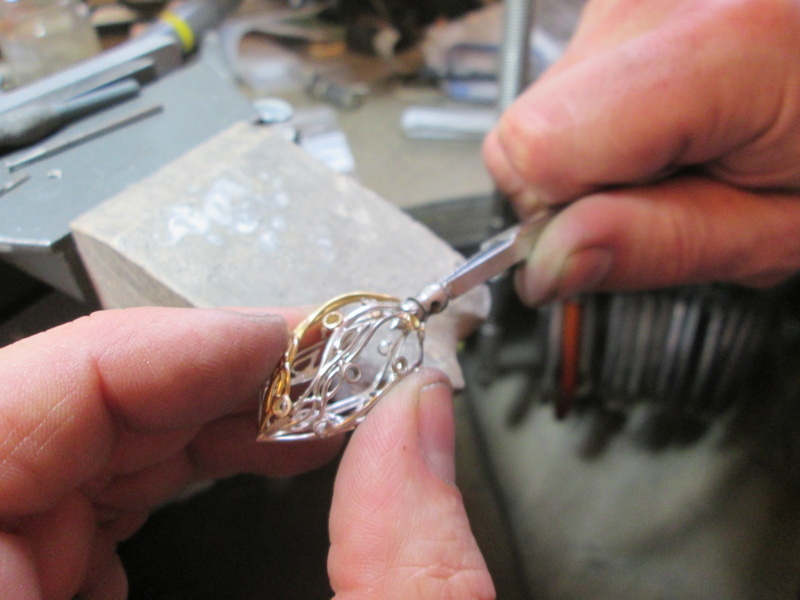 After the segments of the final design were cast, Ortwin glued everything together to get a first impression of how the pendant might turn out. 3. Ortwin soldered the segments together bit by bit and developed the top part and how it would encase the mini ball-bearing. 4. At this point, Ortwin discovered that our customer’s mother’s Diamonds were just the right fit for what was needed. 5. 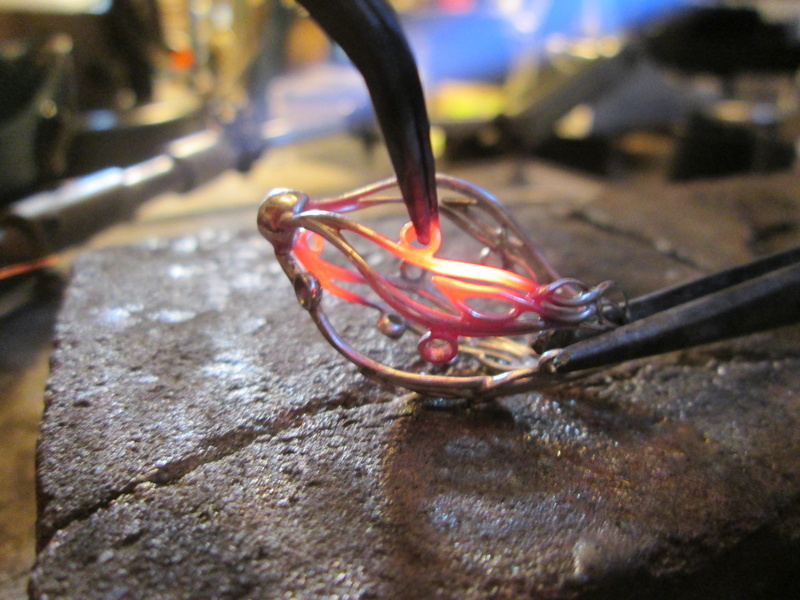 Ortwin very carefully soldered each setting individually made from Platinum or Red Gold, into the celtic pattern. 6. 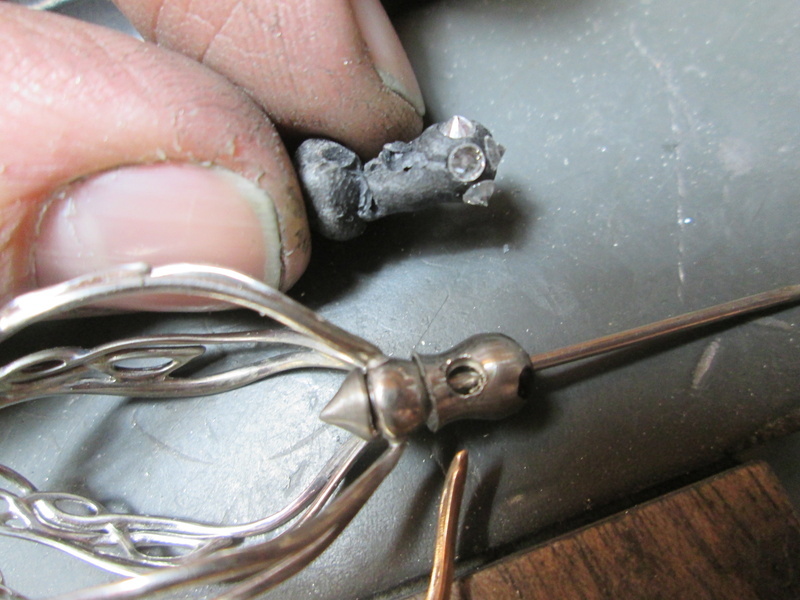 Once the pendant was out of the fire, the final touches were made to the Tungsten Platinum Pin that holds the rotating pendant part in place. 7. The Diamonds were then set one by one all around the pendant. There were just enough to cover the area and give a subtle sparkle. 8. 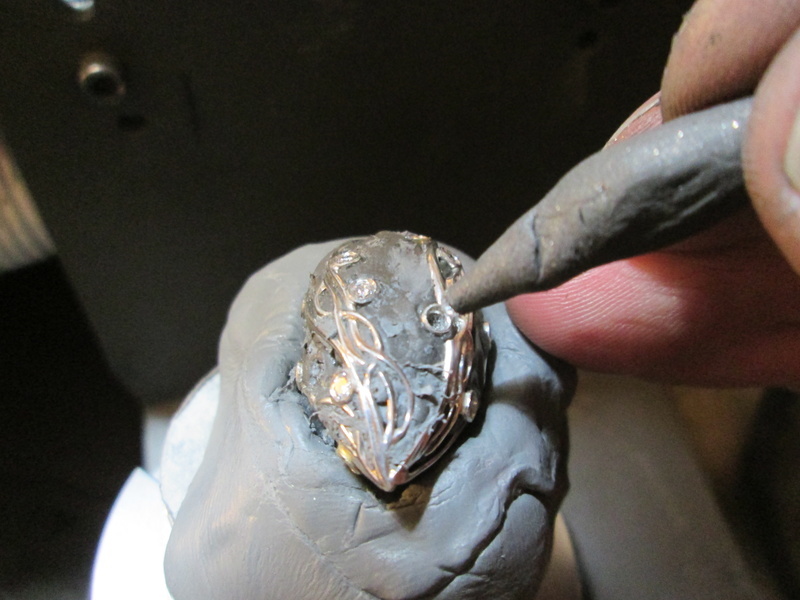 The pendant, finally complete, with all the ‘celtic intricacy and elvish mysterious beauty’.